Add a Libra The Scales Zodiac stampette to your Facebook and Twitter profile images and show your star sign. To the Babylonians the scales were sacred to the Sun god Shamash, patron of truth and justice. 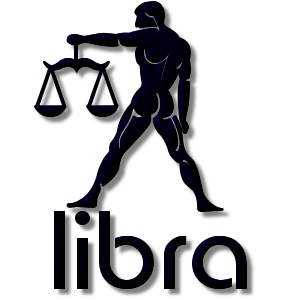 Libra represents law, fairness and civility, the scales being common place in the livelihood of many people. In Roman mythology from which we inherit the constellation of Libra the scales are held by Astraea, identified as Virgo, the goddess of justice. Libra is only Zodiac sign not represented by a human or animal, but the scales are often shown as being held by a man or woman.